Sierra began in 1979 as On-Line Systems. It was founded by husband and wife Ken and Roberta Williams. In 1982 the company was renamed Sierra On-line. Sierra was sold to CUC International in 1996, who merged with HFS Incorporated to form the Cedant Corporation in 1997. In 1998, Cedant sold it's computer entertainment division to Havas S.A. In 1999, Vivendi took over Havas. In 2008, Vivendi merged with Activision to form Activision Blizzard (after the company Blizzard, which was owned by Vivendi). 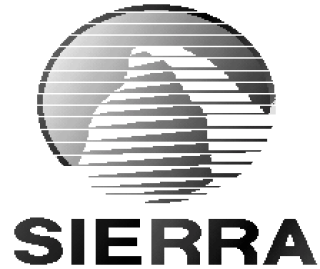 Games are no longer developed by Sierra, however Activision brought back Sierra as an indie publishing label in 2014. Gabriel is tasked with protecting the son of Prince James from vampire-like creatures called Night Visitors. Everyone in Daventry has been turned to stone, leaving only a simple tanner to save the kingdom. The hero enters a contest to become king of Silmaria, but an assassin is killing off all of the contestants. A hotel guest's friends have been captured and they can only be freed by collecting 12 prayer sticks called Bahos. While on a cruise ship, Larry has to cheat to win a weekly contest held by Captain Thygh. A writer travels to a parallel world to rescue a doctor and his daughter. A man experiences hallucinations while his co-workers are being killed, leading him to wonder if he's doing the killing. A spherical object with alien life is set to blow up in six hours. Gabriel inherits a castle in Germany. Once there, he investigates the apparent werewolf-related death of a little girl. A teenager is dared by his friends to spend the night inside of a haunted museum. Roger resumes his role as a janitor, but it's not long before he stumbles into another adventure. Torin, a son of a farmer on the planet Strata must rescue his family and defeat the evil sorceress Lycentia. Separated, mother and daughter must find each other and save the kingdom of Eldritch. Released in 1994. A trivia game with questions pertaining to the King's Quest series. Freddy Pharkas must discover who is scaring away all of the land owners in Coarsegold and put a stop to it. Gabriel Knight finds out about his Schattenjäger heritage, and is tasked with stopping a series of voodoo killings. In the fourth casual game in the Hoyle series, choose among eight card games to play against Sierra characters. Larry wins a trip to the health spa La Costa Lotta, where he tries to win over the available women there. Adam explores the rainforest for a cure for a disease affecting the local natives. Pepper follows her dog into a time portal and must undo all of the changes to the timeline. Los Angeles homicide detective John Carey investigates a serial killing where his ex-partner was one of the victims. The hero arrives in the dark caves of Mordovia where he must keep a demon spirit from entering the world. A game that is presented as a children's book wherein two dinosaurs named Charlie and Slater go camping. When Roger is promoted to captain, he finds his first assignment is much more dangerous than he anticipated. Robin Hood steals money for King Richard's ransom, while staying away from kingdom guards. In this casual budget game, play either checkers or backgammon against King Graham. In this casual budget game, play either dominoes or Yacht (Yahtzee) against Laura Bow. In this casual budget game, play the slot machine, black jack or poker in Leisure Suit Larry's Casino. In this casual budget game, play archery, sticks (combat) or Nine Men's Morris against Robin Hood. In this casual budget game, play Ms. Astro Chicken, make Monolith Burgers, or avoid rocks in your Sand Skimmer. In the third casual game in the Hoyle series, play board games against Sierra adventure game characters. Laura must discover who is killing all of the people at an Egyptian exhibit in New York City. Solve the security puzzles on Dr. Brain's island in order to retrieve an invention for him. Alexander sets sail for the Green Isles in search of the beautiful Princess Cassima. The hero must unite and lead the warring tribes in a battle against a demon wizard. Adam and Delphineus seek the whale king of the underwater kingdom of Eluria. In this life simulation game, attain the level of money, happiness, status and education that you desire. An amnesiac Larry searches the USA for girls to star in a TV show and tries to regain his memory. In this game aimed at children, fairy tales are mixed up and you have to fix them. An arcade shoot-em-up parody wherein Ms. Astro Chicken must avoid hunters and other obstacles. Detective Sonny Bonds' investigation becomes personal when his wife is stabbed. In the second casual game in Sierra's Hoyle series, there are 28 varieties of Solitaire to choose from. Search for and defeat an evil wizard who has stolen your castle and your family. In this adventure/RPG hybrid, travel to Raseir to resurrect a powerful magical being. A Lunar Lander parody wherein Astro Chicken must land in the middle of the target platform. Six card games to play against Sierra adventure game characters, Sierra developers, and their family members. This is a simplified remake of The Dark Crystal aimed at children. Typing is not required. Actions are chosen from a list. Join Mickey in a space adventure in this game aimed at children. Typing is not required. Actions are chosen from a list. Join Winnie the Pooh in this game aimed at children. Typing is not required. Actions are chosen from a list. A Gelfling named Jen must heal the Dark Crystal, which holds the power of nature, by finding a lost shard. 15 treasures were stolen by an evil troll in this children's adventure. Typing isn't required. Actions are chosen from a list. In this adventure game aimed at children, you must free 16 animals which have been captured by a dragon. Travel through time, solve puzzles, and meet historical figures such as Benjamin Franklin, Cleopatra and Julius Caesar. Enter Cranston Manor to find the 16 treasures to break the curse of the town of Coarsegold. The text adventure that was the basis for Leisure Suit Larry. Find items to win the affections of various women. In ancient Greece, Ulysses must retrieve the golden fleece, a treasure which is protected by the gods. An astronaut must travel to an asteroid, and blow it up before it collides with the Earth. Locked inside an old house, search for treasure and uncover a murderer or else become the next victim. A wanderer in the kingdom of Serenia must rescue the king's daughter from an evil wizard.